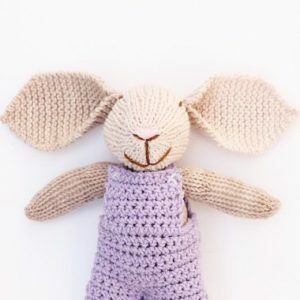 – The bunny is wearing crochet clothes that are removable. 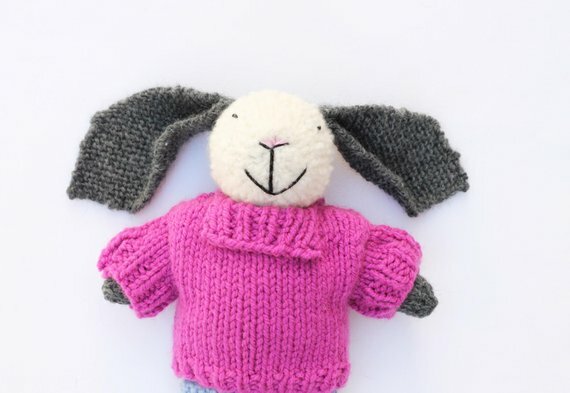 – Stuffed with toy stuffing and measures 15 inches tall. – Will be sent to you wrapped with love and care.